Before last month, you’d be hard-pressed to find the curiously shaped letters you’re asked to name from charts at your optometrist’s office in font lists in Word or Docs. But if you’re a typeface nerd who also appreciates mathematical precision, the newly minted “Optician Sans” is the font for you. Fast Company spoke with the design firm ANTI Hamar, the creator of the font, about the neat typeface made available for free last month. 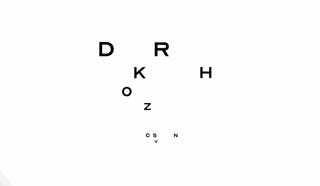 The project began as a rebranding commission from the Norwegian family eyecare business Optician-K. According to Fast Company, the design firm used the history of optometry as a springboard for inspiration, leading them to the pioneering letter designs developed by Dutch eye doctor Hermann Snellen in 1862 for his Snellen chart, which used mathematical precision to zero in on a patient’s visual acuity. 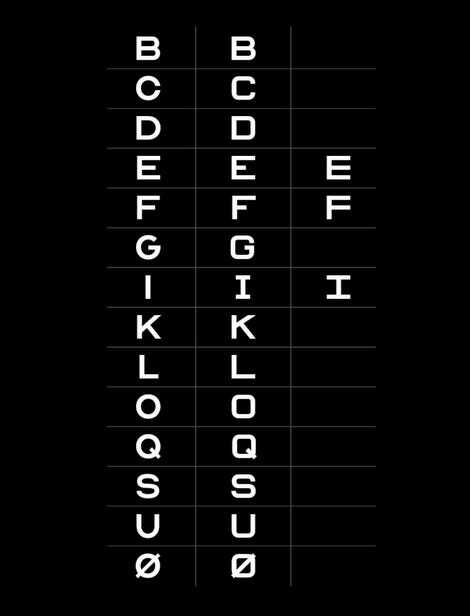 Snellen did this by applying a 5 x 5 grid as the foundation for a total of 10 letters used in his tests. In 1959, those 10 letters were given a reboot by American ophthalmologist Louise Sloan. She overhauled the letters to exclude Snellen’s serifs—those little protruding details like in the “E” shown above—giving them a much cleaner and contemporary feel. Those were later for developed for the standardised Logarithm of the Minimum Angle of Resolution (LogMAR) tests now used by eye care professionals across the globe. ANTI Hamar aimed to revamp the Optician-K brand using Sloan’s designs, according to Fast Company, but there were only 10 to pull from—and only a single vowel. So they designed a comprehensive alphabet, with characters and numbers to boot, inspired by Snellen’s original 5 x 5 grid design. As Fast Company noted, the original set of letters intentionally made it difficult to discern letters like “C” from “O” at the teeny, tiny sizes meant for people with superhuman vision. So in order to make some of these more legible in other applications, ANTI Hamar also designed a number of alternatives. Fábio Duarte Martins, a Type Designer who teaches typography at IADE University in Lisbon, worked on the project with Schikulski and his team. One clarification he notes is that the full alphabet in Optician Sans wasn’t intended to expand the character set of the letters used in LogMAR charts, but is rather inspired by them. Ultimately in making the font freely available, Martins said both he and Schikulski hope that people have as much fun with it as they did.